This week for our HSReplay.net Interviews series, Tiago Taparelli got a chance to interview one of Hearthstone's most prominent streamers, Asmodai. Check out the full interview below! First of all, thanks for joining us today Asmo. You managed to build an amazing audience on Twitch and have been one of the most consistent Hearthstone streamers for a while now. What is your secret? Asmodai: I don’t know if there is a “secret” per se, but consistency and reflection are two important factors I would point to when it comes to my stream. I pretty much stream everyday and as soon as I finish the stream I try to reflect on how it went, what I enjoyed about it, what could have been done better and so on. That's a lot of dedication. 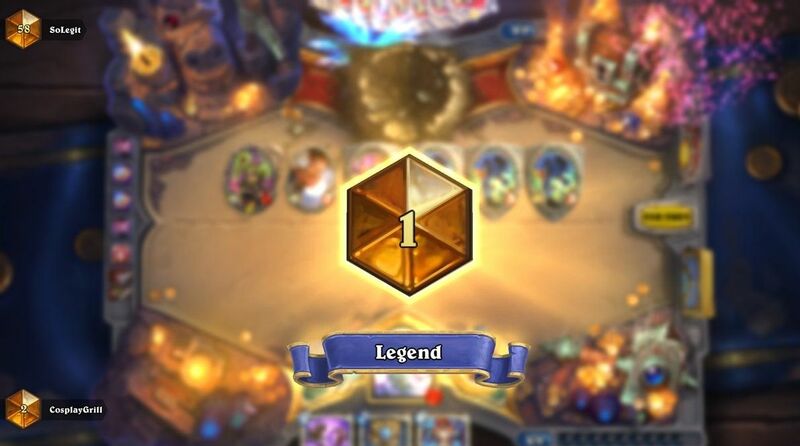 Being a top streamer is definitely not as easy as some people think. In your opinion, what is the toughest part about being a streamer that most people don’t talk about or are not aware of? Asmodai: I think things change when you transition from having it as a cool hobby to a full-time job. The pressure to put on a good show and do well is always there. Sometimes if you are in a slump game-wise or just mentally tired, it can become very stressful because your performance directly correlates with your ability to provide for yourself. There is always the direct feedback you get from the chat, which is great when you are doing good, but in slumps it can definitely take its toll. What would you say or recommend to those reading this interview that would like to pursue a streamer career? Asmodai: I would say start it off as a hobby, put in the hours, and see where you are in a year. A year seems like a lot, but it's a good time frame because this most certainly will be a long-term project. At the end of this period you will have a realistic indication of whether it will be viable and if you are willing to put in the work. It takes a long time to build up an audience and in my experience people lose their motivation quickly when they don’t see some form of short-term success. 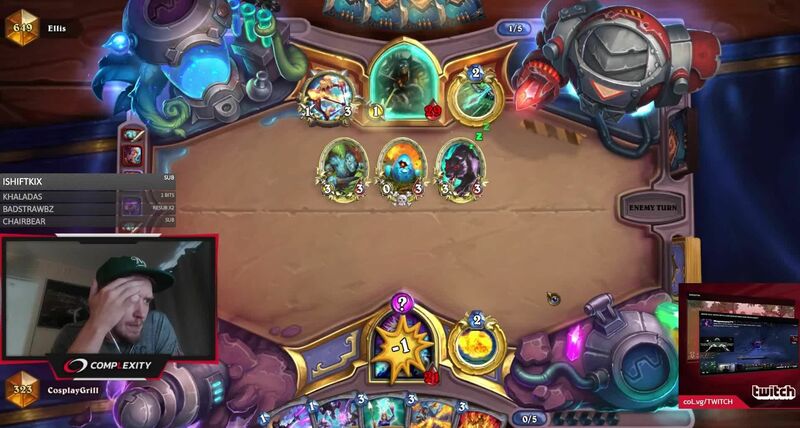 There’s been a lot of talk (and discontent) within the community about the current state of Hearthstone, with a lot of popular streamers and personalities testing some new games lately. How do you see this? Asmodai: People tend to get bored towards the end of an expansion because the meta is figured out. That's when the pitchforks come out. I do think the meta has been very similar for the last six months, which probably contributes to the community's discontent. This usually gets better when a new expansion is released, so assuming the new one will shake things up and keep things fresh I’m sure most people will come back to Hearthstone! We certainly hope so! Now let's talk about a deck you're very familiar with: Clone Priest. You and Savjz are credited with creating and popularizing it, but that only happened late in this expansion's cycle. What was your first impression of Zerek’s Cloning Gallery when The Boomsday Project was announced? Asmodai: Well just to clarify Savjz created the deck and I just played it a million times after that. Honestly I didn’t think much of Zerek’s Cloning Gallery when The Boomsday Project was announced, but I have never been much of a creative deck builder. To this date the only deck I think I can take credit for was the first Tempo Rogue with Prince Keleseth (Sorry!). What I tend to do is specialize in niche decks, and then tweak and optimize them as much as possible. Oh, so you are the one to blame for Keleseth in Tempo Rogue! I'll pretend I didn't hear that (laughs). Speaking of Keleseth, what mechanics or effects would you like to see return or be further explored in future expansions? Asmodai: I love disruption cards. I truly wish Blizzard would print more of them. Some favorites that come to mind are Dirty Rat, Loatheb, and Kezan Mystic. I also like cards that offer you multiple card options like Dark Peddler and Raven Idol from Wild. We need more of those unique cards that actually make the game fun to play, because they enable weird and less predictable outcomes. Besides that, I also want a new Brann Bronzebeard and a replacement for Lyra the Sunshard once she rotates out of Standard. Oh and the Highlander mechanic (e.g. Reno Jackson) was also very interesting for Warlock and Mage, but then Priest came along and ruined the fun for everyone. You're right, Priest definitely took the Highlander mechanic to a whole new level with Razakus Priest. Let's go ahead and start our quick round, just blurt out the first thing that comes to your mind. Favorite card of all time? Bad card you wish was good? Most frustrating deck to play against? Card you hate the most to see your opponent playing? Favorite card animation or sound? Favorite class to play with? I like them all - except Paladin! Last one. Favorite card from Rastakhan’s Rumble revealed so far? Perfect, thanks for the interview Asmo! If you want to see more of Asmodai, make sure to check out his Twitch channel and follow him on Twitter! Who would you like us to interview next? Let us know on Twitter and Facebook! And don't forget to subscribe to Premium to have access to the full breadth of stats from HSReplay.net, including advanced filters, mulligan guides and much more. In this opinion piece by one of our contributors, we theorycraft about a potential Even Pirate Rogue deck. HSReplay.net sat down with the HGG runner-ups to hear their thoughts about the tournament, the upcoming expansion and more.